We knew it was coming. Now we know when. Although it’s and seen in thinly disguised (and BMW-sanctioned) , the upcoming BMW 8 Series and M8 are definitely happening. We also learned not long after their respective announcements and semi-reveals, that BMW was exploring the , specifically a cabrio and possibly a Gran Coupe. Today, thanks to , not only do we now know the 8 Series Gran Coupe is really going to be a thing, but we also have a reveal date, more or less: the third quarter of 2019. We’ll soon start seeing some prototypes on the road and, of course, at the Nurburgring. Before the Gran Coupe arrives, however, the cabrio will launched in late 2018. The production-spec 8 Series coupe is expected next summer. It’s still a bit too early to know some of the Gran Coupe’s specifics, but we assume it’ll come powered by the coupe’s engine lineup, probably consisting of an entry-level turbocharged 3.0-liter inline-six. Next up is the familiar turbocharged 4.4-liter V8. 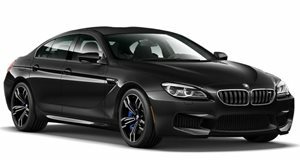 The expected M860i will likely share the M760Li’s turbocharged 6.6-liter V12. Also don’t be surprised to see BMW offer the Gran Coupe with a plug-in hybrid powertrain – just like in the standard coupe and cabrio. The big question, however, is whether BMW will offer an M8 Gran Coupe. We think it’ll happen, mainly because the engineering is literally already done and ready to go for the coupe, and also due to the fact that the outgoing M6 Gran Coupe was a solid sales success. We’ll hopefully learn more details about BMW’s 8 Series plans at the Frankfurt Motor Show next week.